Driving around town is a much different scene these days, even from just 5 years ago. Downtowns have a whole new look. Something is happening in retail – a shift from traditional retail to e-commerce, and we are seeing the effects on our nostalgic downtowns, the shopping mall and all the people who are there – working to help us. 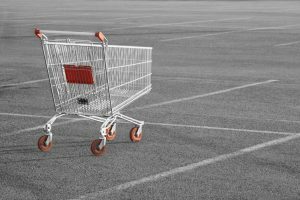 In some ways, this is a new world for retailers and, in other ways, a continuation of a cycle that began more than one hundred years ago with the advent of home delivery via catalog sales. Eventually malls and big box stores took over and dominated the retail landscape. Now, technology has brought in-home delivery back to the forefront in a big way. E-commerce companies are experiencing double-digit growth while traditional retailers are closing stores in record numbers. But it won’t remain that way for long. The one big difference between this evolution and the ones that preceded it is the speed at which things are changing, particularly consumer expectations. E-commerce companies have had the advantage of not being burdened by history. They have been able to develop fulfillment centers based exclusively on the requirements of e-commerce. Now, there is an opportunity for traditional retailers to leapfrog the current state of technology by re-configuring the existing retail network to support hyper-local distribution. Is there a possibility that outdated malls and downtown retail shops could be effectively re-purposed in their current design and without being torn down; in such a way where brick-and-mortar and digital commerce co-exist? The more retailers enhance the customer experience, the more consumers expect – and the supply chain will have to keep up. Delivering this seamless, friction-less buying experience is not only a retail challenge; it is also a fulfillment challenge. Re-purposing existing or closed retail space as hybrid retail/distribution hubs not only supports faster delivery of orders but supports a hybrid delivery model which gives consumers the option of home delivery or in-store pickup. If supply chain changes go this way, warehousing and material handling will shift closer to end users and consumers. It seems reasonable to expect more jobs in this area. Further innovation in warehouse automation and robotics will accelerate rapidly to meet the demands of e-commerce. If the mall is transformed into a warehouse, has the warehouse become our new retail? How will retailers incorporate both in-store pickup and home delivery? Where will they obtain the resources and expertise needed to compete in this changing environment? What kind of impact will all of this have on the commercial delivery business? There are many opinions on what will become of both freestanding retail and the mall model. Some see restaurants and educational institutions filling real estate vacancies, saying food consumption is constant and education consumption is poised to rise. Others see medical offices and expanded entertainment venues such as massive movie theaters geared toward families. QUEENSBURY, N.Y. – SCI LLC, the leader in Third Party Administration for the logistics industry, is pleased to announce the appointment of Peter Fidopiastis as President and Chief Operating Officer. In addition to his new role, Peter will also continue as SCI’s General Counsel. Peter was a litigator in an employment defense firm in California dealing largely with management-side issues. He later extended his practice to NY before joining SCI where he has been General Counsel for 7 years. “We couldn’t have chosen a better candidate to help SCI move toward the future. Pete has built a strong foundation at SCI with his combination of legal expertise and industry-relationships.” said Russ Reardon, CEO of SCI. Peter is a member of the California, New York, Los Angeles, and Warren County bar associations, as well as the employment law sections of each association respectively. He has successfully argued transportation issues on both the state and federal levels, as well as being an active member of the Transportation Lawyers Association. Peter frequently volunteers his time to charitable organizations in his local community. About SCI – SCI is the premier third-party administrator servicing the courier, trucking and transportation logistics industry. Our program includes onboarding, document management, settlement processing, risk management, and much more. Our in-house team is dedicated to helping owner operators resolve issues, maintain their up to date business credentials, and providing them with the products they need to successfully manage their businesses. All of this and more is available as an SCI customer. Visit SCI online at www.sciadmin.com or call 800.821.5344 to set up a demo. Is there an upside to the ELD Mandate? 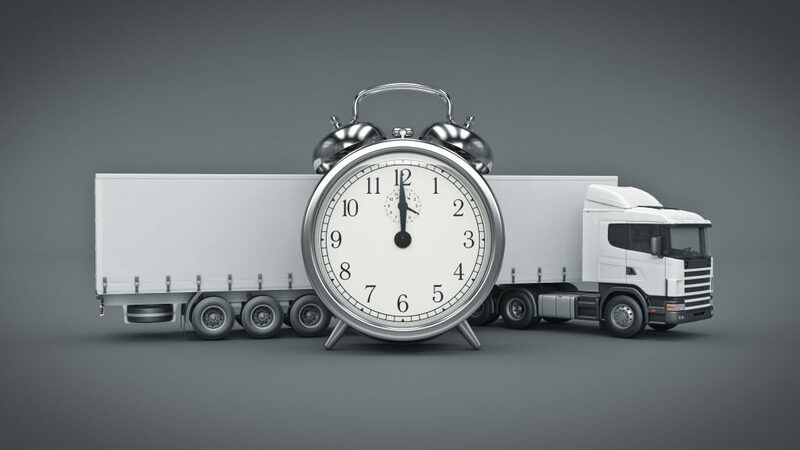 The objective of The Federal Motor Carrier Safety Administration’s (FMCSA) rule mandating electronic logging devices (ELDs) is to strengthen commercial drivers’ compliance with hours of service (HOS) regulations which were created to combat fatigue. ELDs automatically record driving time and monitor engine hours, vehicle movement, miles driven and location information. Some feel that the industry has relied on paper logs for too long. The ELD Final Rule will change how fleet management is operated by requiring drivers to use an app or on-board logging device that’s compliant to the FMCSA’s mandate. Device developers revealed that ELDs will streamline the operating systems of fleet companies, from logging a driver’s hours of service to sending proactive alerts to both fleet managers and drivers if a trucking operation is about to commit a violation. Will the new mandate affecting millions of trucks operating in the U.S. significantly reduce commercial vehicle gas usage? The ELD Rule will improve fuel efficiency because the drivers’ operations will be tracked automatically. Operators will be able to use the data received from an ELD to re-evaluate their routes and potentially find a more efficient route. This will help companies be economical in terms of the fuel they use. The FMCSA says that ELDs will save companies around $1.6 billion annually by enhancing fuel efficiency. The FMCSA also predicts a decrease in crashes involving large commercial motor vehicles that would save 26 lives and prevent 562 injuries annually. They also stated that it is expected to drive “an annual net benefit of more than $1 billion – largely by reducing the amount of required industry paperwork.” Safety is the number one benefit of ELDs and fleet management systems which could ultimately reduce a fleet’s insurance rates. Can the ELD mandate help reduce driver turnover? With the driver shortage among us, the ELD mandate should alleviate the paperwork drivers were required to complete and submit on their return. Efficient routes and less paperwork would result in sending drivers home sooner. Whether the ELD Final Rule will be successful won’t be determined until the law has been in full effect. Does the stereotype of “truck drivers” from the 70’s as in “Smokey and the Bandit” and the hit song “Convoy” enter your mind? Misconceptions about truck drivers as unsophisticated loners or renegade cowboys are changing. Today’s truck drivers are trained, tested and have the professional skills and the dedication to safety and efficiency that keep our goods moving. People around the Country have become aware of the “Driver Shortage”, a situation that will undoubtedly affect all of those who have become reliant on e-commerce and free two-day delivery. What some people don’t consider is the number of materials, products, and goods that are transported by truck across the Country every hour of every day. With consumer confidence at its highest level in almost 17 years, major motor carriers are struggling to find the drivers they need and are offering incentives and higher wages to bring new interest to the industry. In August, truck driver annual wages jumped 5.7% from 2016 wages. Additionally, a recent article published on joc.com referenced the Top 50 Revenue Growth Companies in 2016. Interestingly, the only success stories from a revenue perspective on this Top 50 list were the parcel carriers. This directly correlates to the rapid growth of deliveries to people’s homes by parcel carriers and fewer shipments that are transported from distribution hubs to local stores. The ATA (American Trucking Association) projects freight volumes to grow 2.8% this year and similar growth each year through 2023. Become a part of a profession that takes you around the Country, frees you from a desk in an industry that delivers our goods safely, securely and on time. Remember that 80% of America’s communities rely on trucking… your morning coffee was brought to you by a professional truck driver. What could Amazon’s new service, Amazon Key, mean to your courier business? Amazon just announced their new service – Amazon Key. 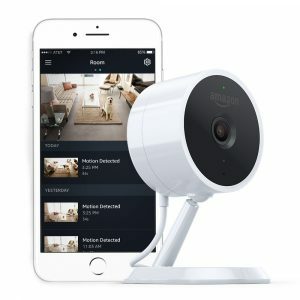 By using a combination of compatible smart locks and Amazon’s new Cloud Cam security camera the service promises to allow Amazon couriers to deliver packages inside. The process is simple. When a courier arrives with a package they scan the package barcode. Normally this would be where the delivery process stops. Instead, a request is made to Amazon that starts video recording on the Cloud Cam and unlocks the door for the courier. Once the package is placed safely indoors the courier completes the delivery on their mobile device and the door is locked again as they leave. The recipient of the package is then notified and sent a short clip of the drop-off recorded by the Cloud Cam. This year Shorr Packaging Corp analyzed 1,000 people to determine how rampant package theft is. According to the survey, 31% percent of respondents said that they had “personally experienced package theft”. Of those surveyed, 53% said they had to “change their plans” to make sure they were home to receive a package. This impacts customer behavior when choosing to ship or go buy items. Clearly Amazon Key, and services like it, aim to solve this problem. When customers feel safe about receiving packages they will ship more and that means more business for the logistics industry. Are you looking for help managing relationships with independent contractors and brokers? Is managing 1099’s, settlement checks, adjustments, occupational accident insurance, and document management leaving you no time to grow your business? Partner with SCI, the industry’s leading third party administrator and get back to YOUR business today!